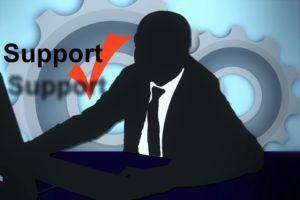 Support Perth is a must every time something needs to be fixed or solved. Customers or new prospects are more interested if your website is responsive, functional, and smooth to navigate. But without a web support strategy or team that fixes problems, risk is inevitable like lost traffic and profit. Of course, we don’t want this to happen to your business and this is the reason that you should contact as without further ado. Our web support team is packed with excellent IT skills and are keen to demonstrate an eye for detail just to ensure that we deliver a precise and competitive outcome. Website protection from malware, hackers, spam, virus, and denial of service attacks. They act as terrorists on your website and are not going anywhere if you engage in the internet world and you are online. Thus, securing your website through our web support service is a must. Correct bugs and broken links. As these are important to convey content to end user. Consequently, they need to be stable and functional. SEO update. Online marketing businesses are constantly thriving to get on to the top of the ranks of Google. Our Web support team can handle updates and changes in SEO to maintain SEO ranking or for start- ups. We can build websites which are SEO friendly and updated to digital service rules and guidelines. Comprehensive display of images, videos, and text. These web contents are sometimes broken whenever several changes or updates of a website occur. Update web design. A constant change in internet is happening from time to time. Thus, you need your website to evolve and adapt those changes. Our web support team do also cater web design or custom web design Perth that provides an active interaction or engagement with the end user. Securing and storing your data for analysis. Help with optimize speed loading time and many more. Aleph IT Web Support Perth is essentially tailored for small to large scale of businesses to have the credibility and power to compete and surmount on online marketing. That any instances are not the reasons to end their business goals but a means to survive and show their best potential to their clients. Get your web site professionally fixed at affordable rates with Aleph IT Web Support Perth. You can reach us through a phone call or via email. This entry was posted in Web Design and Development and tagged SEO update, web design, web support, web support perth, website protection.